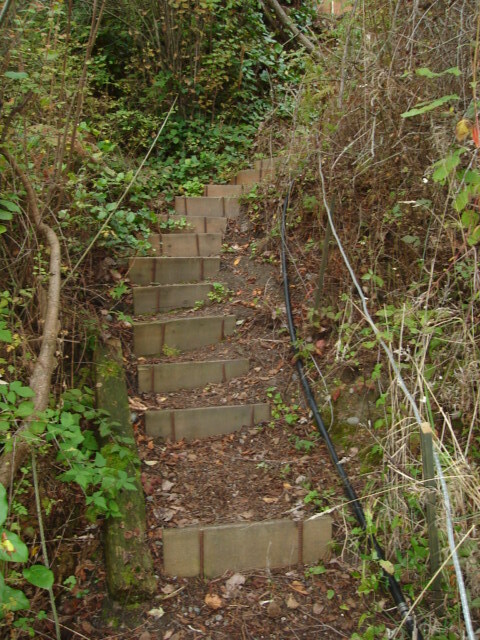 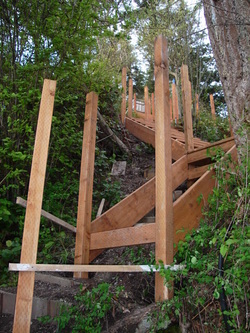 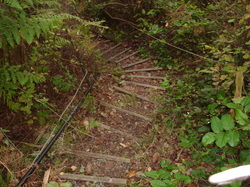 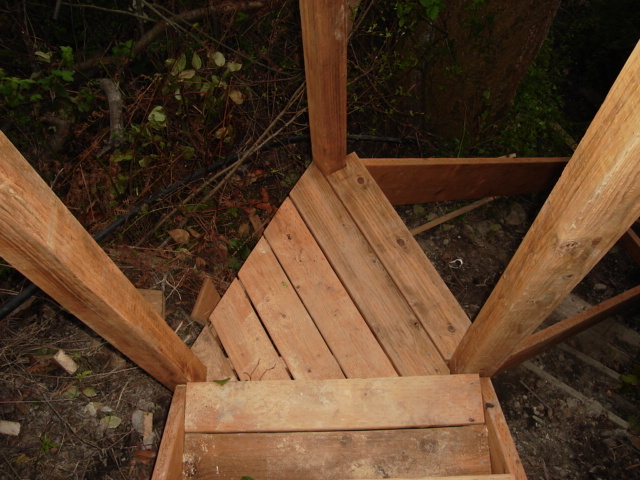 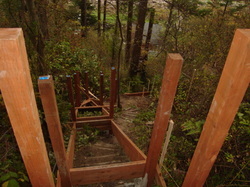 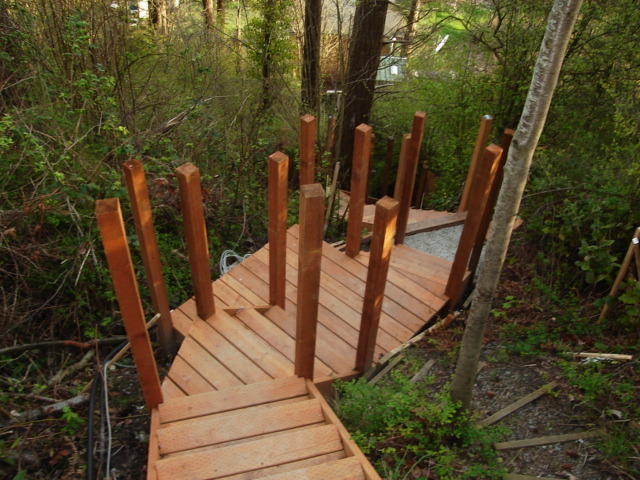 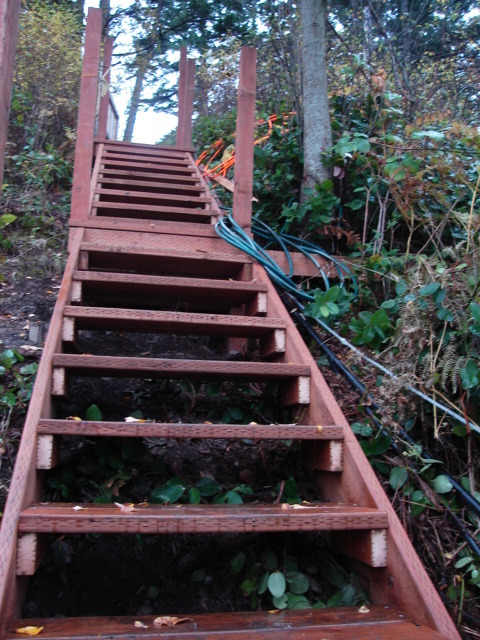 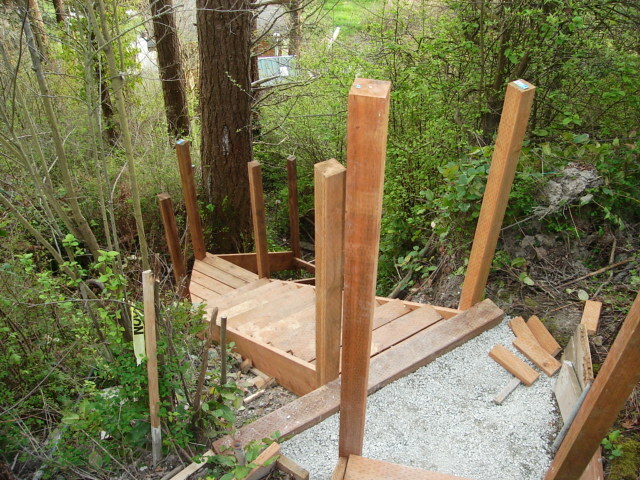 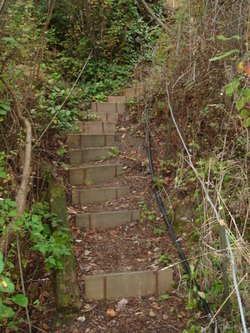 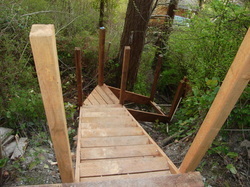 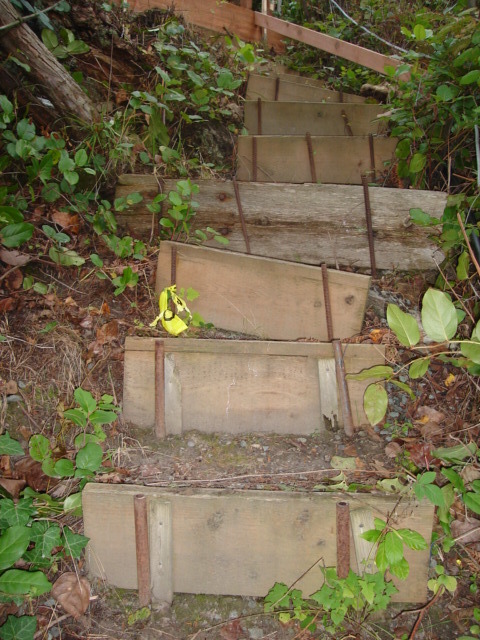 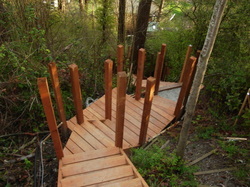 These clients were tired of scrambling up and down this very steep trail to reach their beach front property. 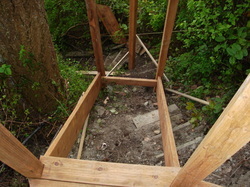 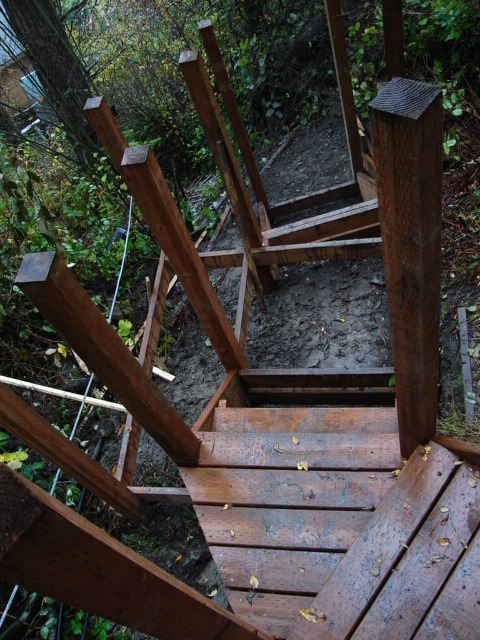 This project is still in progress, and has already proven itself to be very challenging mentally as well as physically. 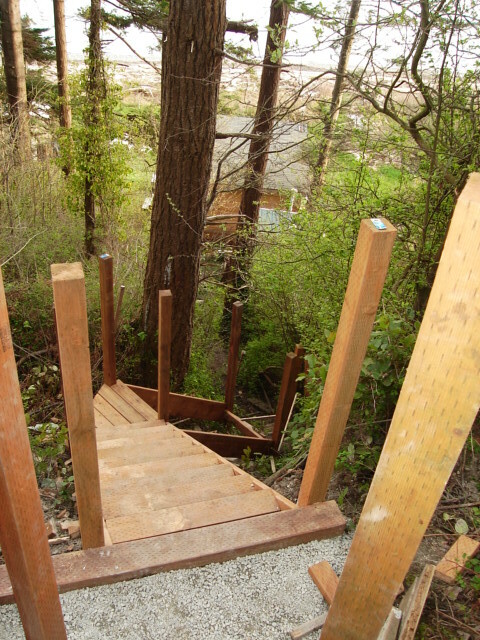 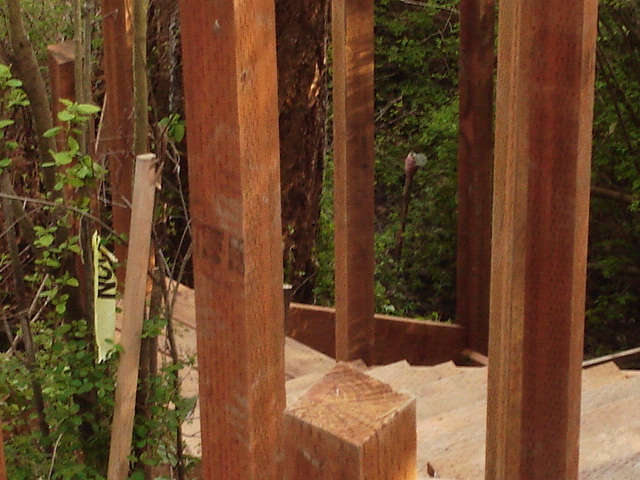 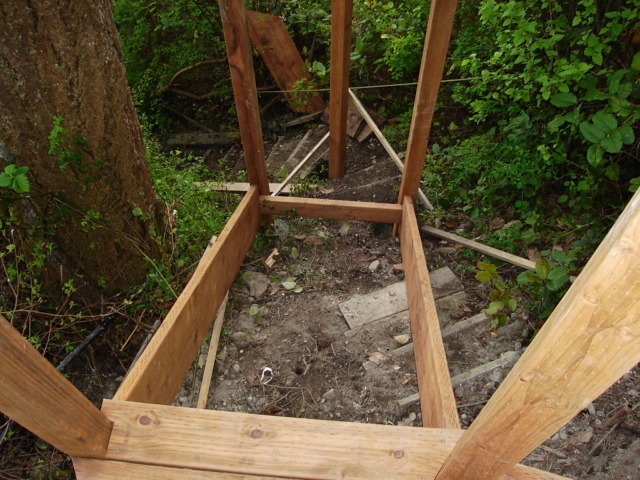 The result will be worth it, as now the whole family will be able to enjoy year round safe access to the property with minimal maintanence required. 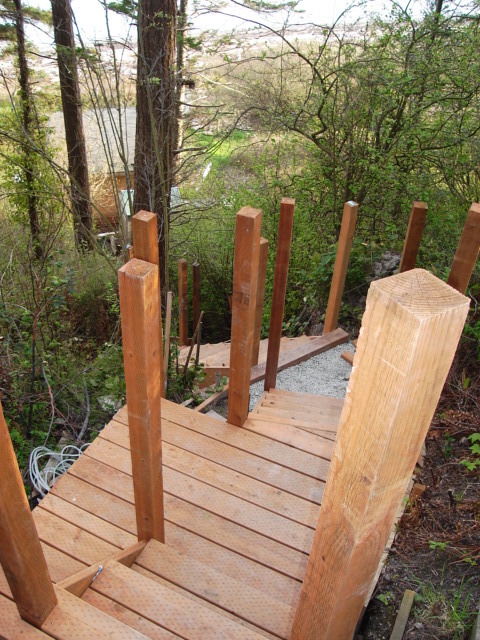 In addition to increasing the ease and safety with which the clients can now reach this special place, we've been able to build in a small deck area, where one can pause to rest and enjoy the view. 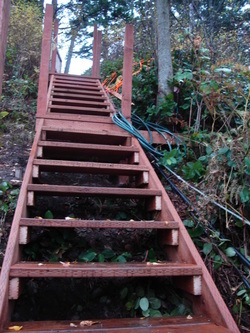 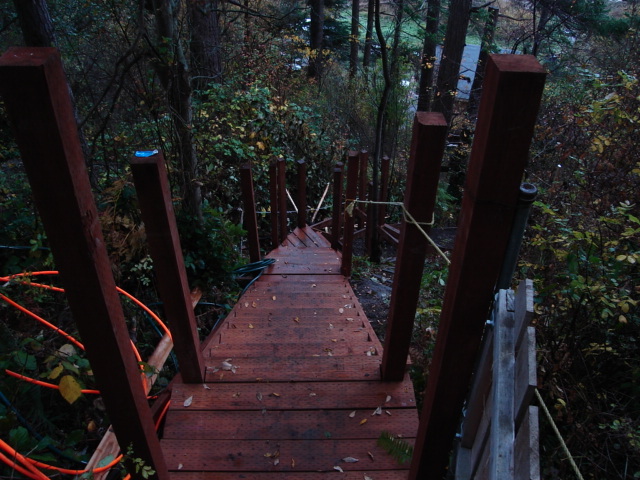 Weather and schedules have finally coincided to allow us to return to the outdoor stairs we began last Fall. The second half of the project is proceeding rapidly and should be finished after a couple more visits.